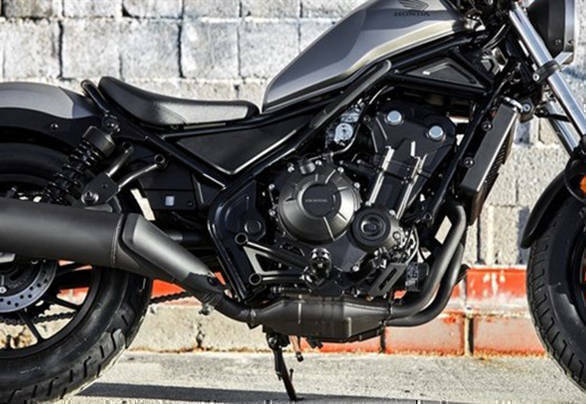 The Honda Rebel 300 comes powered by a 286cc liquid-cooled single cylinder engine, with fuel injection, double overhead cams and a counterbalancer. The engine outputs 27.3PS / 27Nm, mated to a six-speed gearbox. 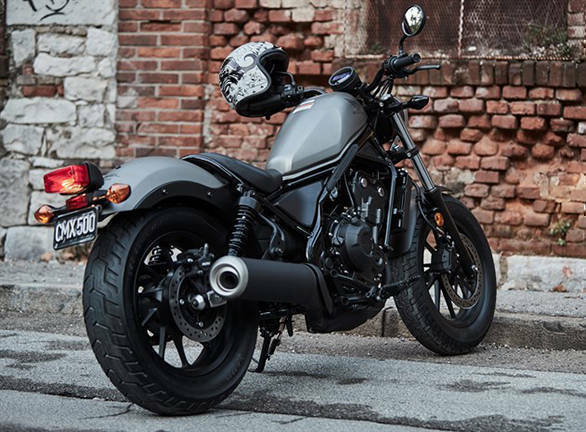 Since the Rebel is a motorcycle that targets both experienced and new riders, Honda says it offers the kind of torque and midrange power that is well-suited for all levels of riders. The motor is the same one found on the Honda CBR300R. 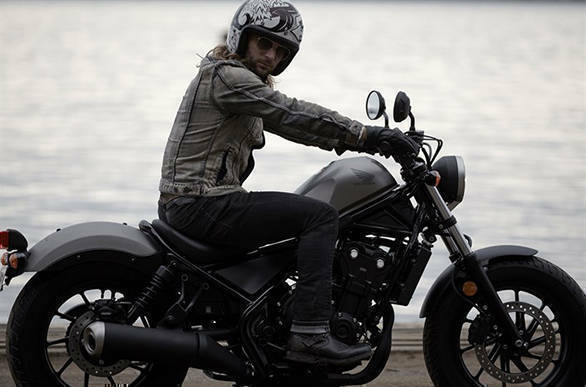 With the Rebel 300, Honda gives the owner the chance to customise. The entire motorcycle, including the engine, frame and bodywork, apart from the fuel tank are blacked-out. The paint job also also lends the motorcycle the clean air of an understated larger cruiser, while also leaving out more room for customised bits. The styling combines elements of bobber and chopper mototrcycles with the raked front, narrow frame, teardrop tank design, and saddle-style seat. 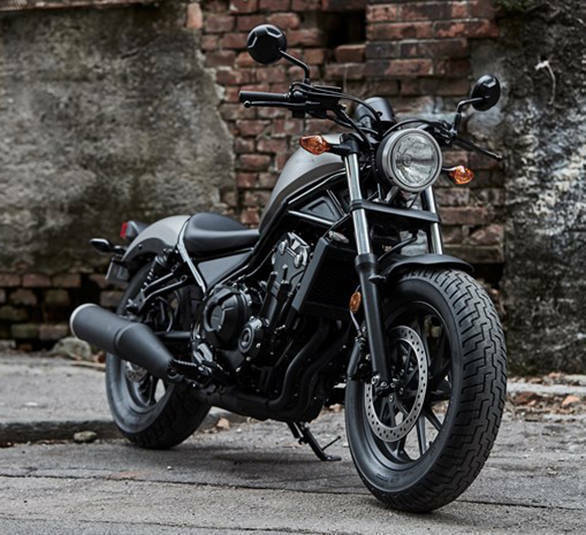 The Honda Rebel 300 may look large with its sloping tank, but the seat is set low enough to not intimidate even the newest of riders. The seat height is a low 691mm, ensuring riders of most sizes can plant both their feet to the ground when needed. This along with the relaxed slightly feet forward seating position and narrow profile, as well as a kerb weight of 165kg, makes the Rebel rather manageable. The Rebel 300 sports oversize tyres with a 130/90 16-incher at the front and a 150/80 16-incher at the rear for that beastly bobber look. 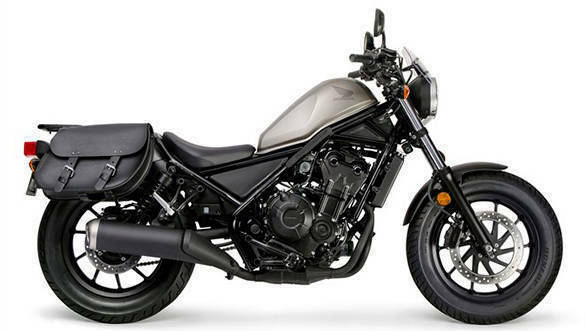 The narrow overall profile of the motorcycle helps further accentuate the fat tyres. Suspension up front is 41mm convetional forks with 121mm of travel, while the rear goes old-school with 5-step preload-adjustable twin shocks that offer 96mm of travel. The Rebel 300 sports a 296mm front disc with twin calipers and 240mm rear disc with single caliper setup, which coupled with the optional ABS should offer a confident braking feel and strong response under most riding situations. Now, while naked motorcycles in the price range offer ABS as an option or as standard, no cruisers in this category offer ABS. This is set to change, however, with the government mandating ABS on all two-wheelers from 2018. 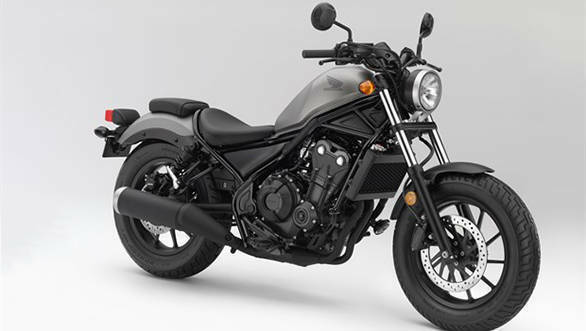 Honda also offers a suite of custom-designed accessories, including windscreen, saddlebags, rear carrier rack, among others to let owners customise their ride to their specification. In addition, the simple clean paint also leaves open the opportunity for a one-off paint job. This also ties into the youth-centric theme adopted by the locally-developed Honda NAVi as well as the Honda Ruckus scooter sold internationally. 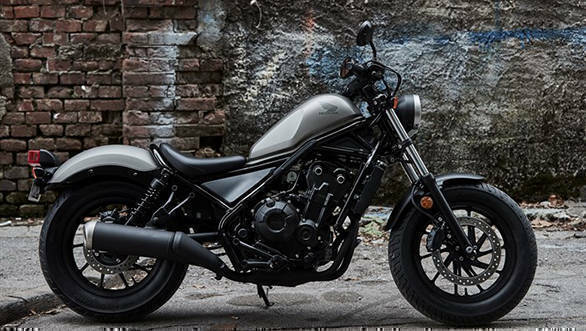 The Honda Rebel 300, if it makes it to the Indian market soon, could prove to be the reckoning for cruiser motorcycles that have remained basic offerings for the sole-purpose of cost-effectiveness. The Royal Enfield 350cc and 500cc, as well as the the smaller Bajaj Avenger 220 and the UM Renegade, are all models that should be worried about this prospect. With the Rebel 300 being a Honda offering, other motorcycles including the KTM 390 Duke, KTM RC 390, Bajaj Dominar, Mahindra Mojo, as well as the brand new TVS Apache RR 310 should all be wary too. Now to see how long Honda takes to bring its mid-segment cruiser to India.